Kepler Press publishes literary fiction, out-of-print classics and original writings in history and cultural criticism. 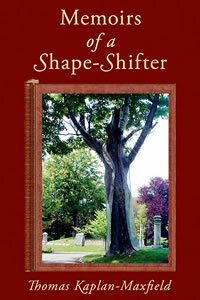 Memoirs of a Shape-Shifter is the fictional account of Nikki Helmik's journey into love and self-discovery. Returning to her native Gloucester, she uncovers her Druid ancestor Anne Cleve's journal and by learning its secrets comes to a new understanding of her own difficulties in love, which in turn transforms her outlook on life. The spell-binding story of forty-year-old Nikki Helmik, who returning to her hometown of Gloucester, Massachusetts, promptly falls in love with the married son of her one-time mentor, Rose Eveless. Finding her Druid ancestor's journal [which spans three self-contained chapters] and learning its secrets, Nikki undergoes the true mystery of love. Forty-year-old Nikki Helmik returns to her hometown (Gloucester, Massachusetts) and falls in love with the married son (Philip) of her erstwhile mentor, the rich and beautiful Rose Eveless. Nikki's desires for Philip conflict with her own fears as well as with Rose's anger. Her conflict rises to a crescendo and is resolved finally when she finds and translates the journal of her Druid ancestor, Anne Cleves, in whose story (spanning three self-contained chapters) Nikki discovers both her own power and a new way of loving. The story in entirety is rich with local color and historical fiction come to life.